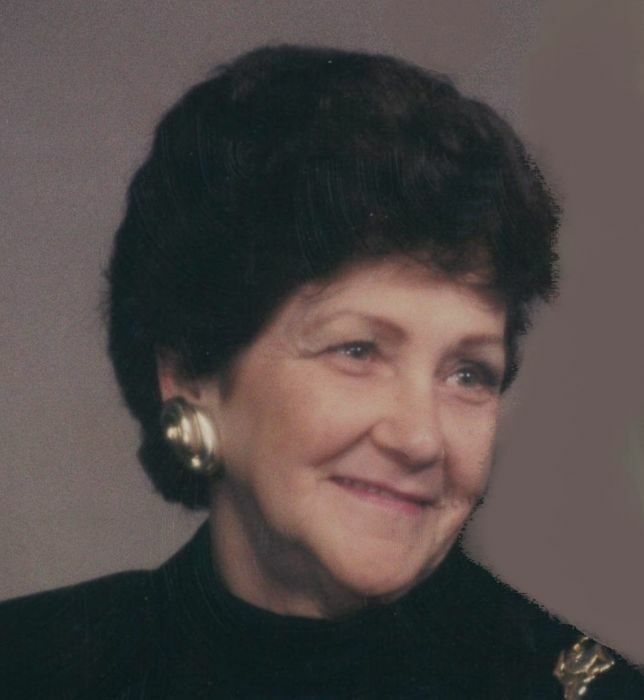 June Hurley, 84, of Bunker Hill, IL, died at her residence on Friday, January 18, 2019. She was born March 30, 1934, in Calhoun County, IL to John Logan Ray & Margaret Helen (Bull) Ray. She married Robert W. "Bob" Hurley on March 30, 1951 in Piggott, Ark. She was co-owner of Hurley Insurance Agency in Alton, IL. She is survived by her spouse, Robert W. "Bob" Hurley of Bunker Hill, IL, daughter, Bobbye Hughes of Bunker Hill, IL, son , Pat (Shirley Ann) Hurley of Bunker Hill, IL, grandchildren, Chris Hughes, Vince Hughes, Brian Hughes, Chad Hurley, Casey Benderman, Niccole Hurley, Wade Hurley, 13 great grandchildren, siblings, Billie Jean Mullink of Bunker Hill, IL, Gary (Sharon) Ray of East Alton, IL, Ron (Lona) Ray of Bunker Hill, IL, sisters in law, Elizabeth Ray of Bunker Hill, IL, Thelma Ray of East Alton, IL, numerous nieces, nephews, great nieces and great nephews. Margaret was preceded in death by her parents, son, Michael Wade Hurley, brothers, John Ray, Donald Ray, Wayne Ray, James Ray and sister, Lela Jane Welch. Friends may call on Friday, January 25, 2019 at Kravanya Funeral Home in Bunker Hill from 4:00 pm until 8:00 pm. Funeral services are Saturday, January 26, 2019 at 11:00 AM at Kravanya Funeral Home, Bunker Hill, IL. Burial will be at Woodburn Cemetery, Woodburn, IL. Memorials are suggested to Woodburn Congregational Church, New Beginnings Church in Bunker Hill or Heartland Hospice. Anyone wishing to send an online condolence may do so at www.kravanyafuneral.com. Kravanya Funeral Home, Bunker Hill, IL is in charge of the arrangements.